Why do you need to have a website? 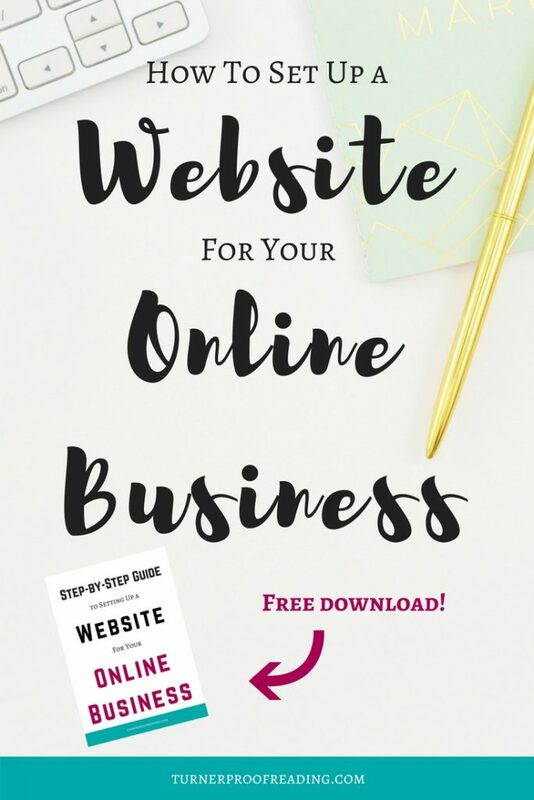 If you’re serious about setting up a successful blog or business selling a product or service, you need to have a website. Sure, if your business is mostly local then word of mouth will get you lots of clients, but if you want to attract international customers, then they’ll need some way to find you. You aren’t awake 24/7, but your website is! Is there any difference between a blog and a website? Yes, there is. A blog is a website, but a website is not necessarily a blog. A website is usually made up of a few static pages that introduce you and your business and advertise your products or services. A blog is a site that’s constantly updated with new content, usually on a specific niche or topic. A blog can be a standalone website, or it can be attached to your business website. Do I need both for my business? Yes! Having a blog attached to your website is great for content marketing. A website can be just a few static pages advertising your services, but adding a blog makes sure search engines are aware that you are providing valuable content on a regular basis. As a result, they will show your content higher in the search rankings and make it more visible. When I was thinking about setting up my website, I hadn’t a clue where to even start. 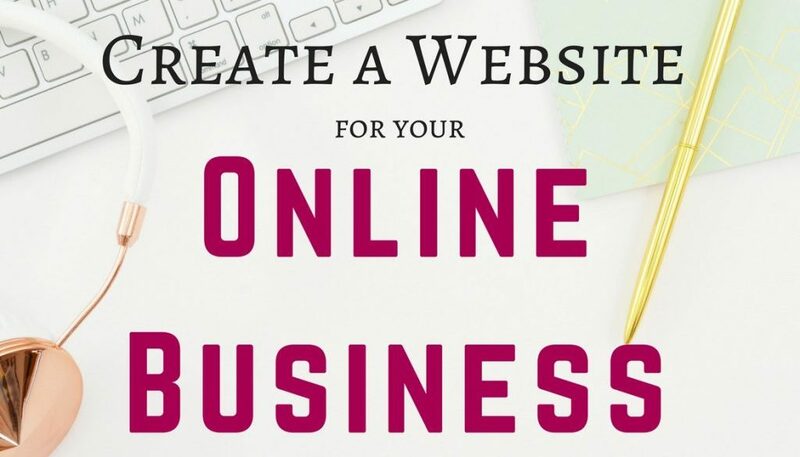 Here’s a little list of the essential steps you need to take to set up your website. I’ll elaborate on each point further on in this post. Domain name. This is your website address; it’s what people type in when they are looking for your website. 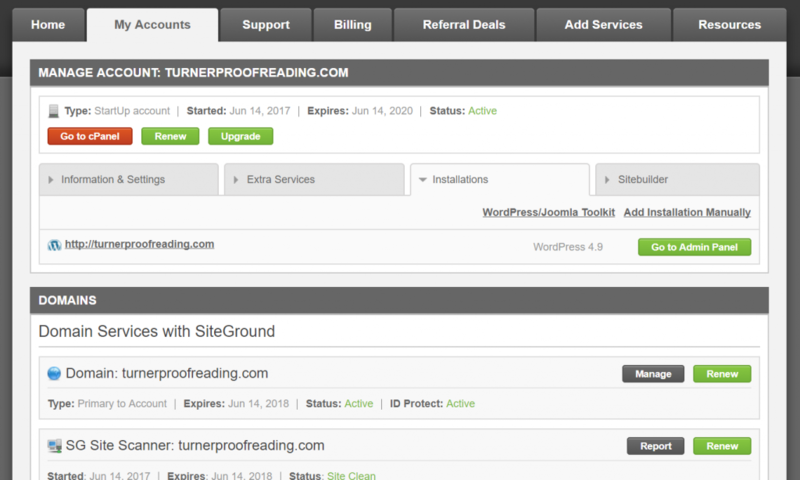 My domain name is turnerproofreading.com. Hosting. This is where all your website content is stored. SiteGround hosts my website/blog. Content management system. This is where you actually create your website. It allows you to go behind the scenes to change the appearance of your site and create, edit, and publish your content. I use WordPress.org as my content management system. Others include Wix, Weebly, and Squarespace. Plugins. 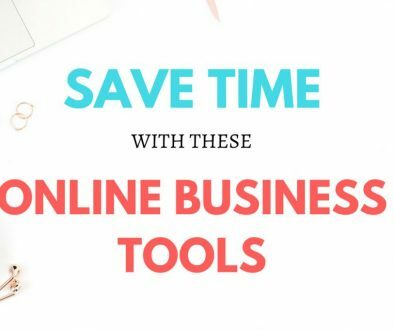 Plugins can help you do everything from installing your social media buttons to optimizing your website for search engines. Social media. You need to have an active presence on social media to be able to connect with your target market and drive them to your website. Ok, so now that the basics are out of the way, here’s how I actually set up my website. Have you already chosen a business name? If so then check to see if the domain name has already been taken. To do this type your preferred domain name into the search bar on name.com and they will let you know if it is available. Not sure what to call your site? Have a brainstorming session to come up with names for your site. Try to think of something that gives an idea of what your site will be about. I’ve written another post specifically about choosing the perfect domain name for your website or blog. It’s important to think about the future when you’re naming your website. Are you planning to add any additional services or products in the future? Will you be blogging about subjects not directly related to your service offering? Also, I’ve since added a blog to my website and write about subjects other than editing such as freelancing, book reviews, saving money, etc., so it might have been even better again to go for something not so rigidly associated with proofreading. You live, you learn! You can choose to buy a domain name from a different company than your hosting provider. I chose to buy both my domain name and hosting plan from the same provider because I didn’t want to have to keep track of two separate accounts. You usually purchase a domain name and hosting for a period of one to three years, so I didn’t want to accidentally forget about one of them and let it expire. Disaster! If you already have a domain name, then make sure you check the box to say that you do. 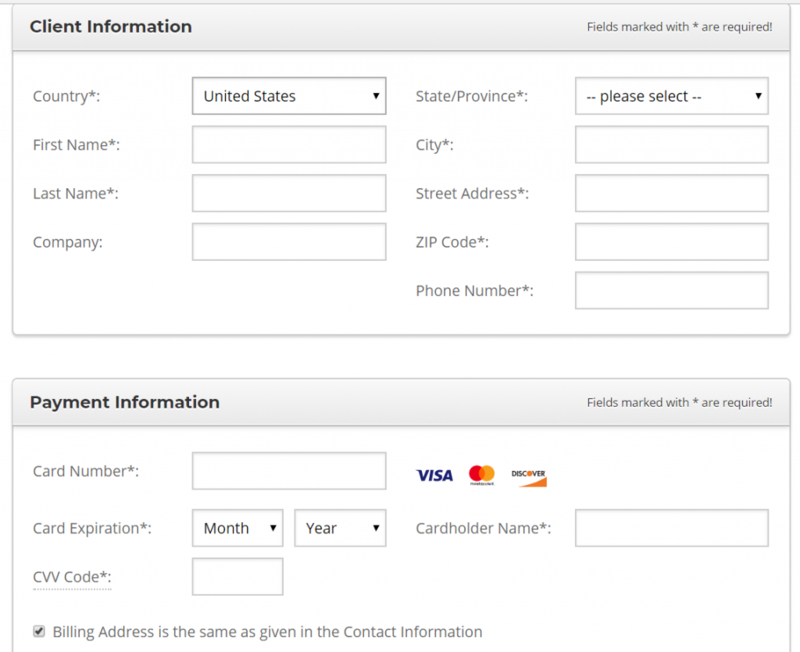 Signing up with SiteGround was very straightforward and only took a few easy steps to complete. The StartUp plan is perfect if you’re just starting out or you only plan on having one website. The GrowBig plan is suitable for a website with a larger number of page views or multiple websites on the same plan. The GoGeek plan is for websites with a huge number of page views or with advanced development needs. It’s also suitable for e-commerce websites. 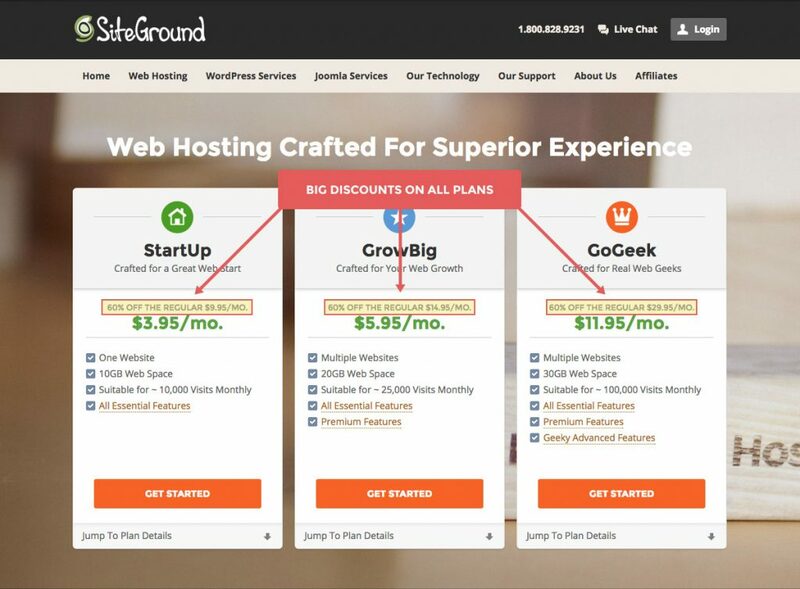 If you’re going to purchase your domain name from SiteGround, then this is the next step. Just type in the name you want. I recommend choosing .com if you can. It’s the most recognized and what most people will type into a search bar automatically. Exactly as it says on the tin. Enter your payment details and address. When you’re buying your hosting package, you can choose how many months you want it to last. You can choose from 12, 24, or 36 months. I really wanted to commit to my new business, so I went for the 36 months package. I also added the domain privacy and site scanner because I think both are important to have. They are optional though. So I got a domain name, 3 years of hosting, domain privacy, and the site scanner for $188.95. That’s an AMAZING deal! 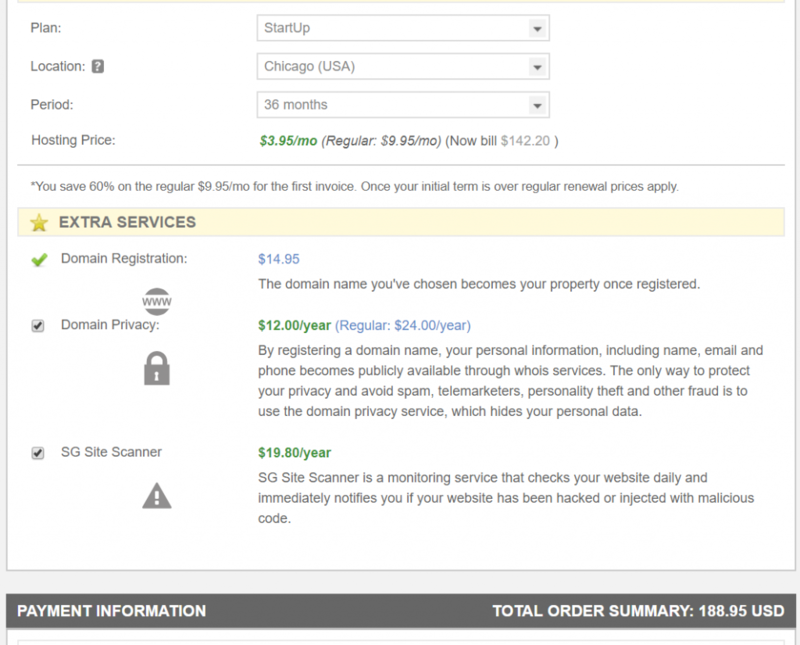 And if you choose to sign up for only one year plus domain name, that’s only $62.35! 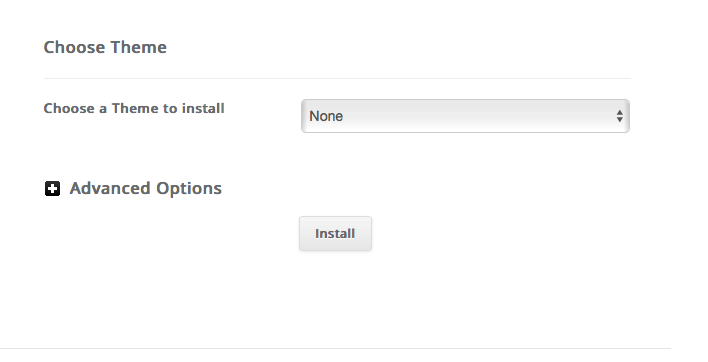 Installing WordPress with SiteGround is a really simple process. 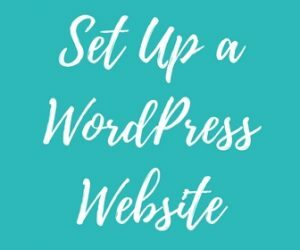 PRO TIP: If you want to monetize your site through affiliate marketing or ad revenue, then it’s important to set up your website on WordPress.org NOT WordPress.com. Confusing, eh?! While you’re logged in to your SiteGround account, go to the “My Accounts” tab and then click on “Go to cPanel” (red button). Next, click on the blue “Install” button. Then, enter the required fields for your site – title, description, administrative username and password, administrative email, etc. A theme is what creates the overall style or design of your website or blog. This is what makes your site attractive to look at. Having a visually appealing website or blog is so important because we are visual creatures, and unfortunately, some people will judge a book by its cover! I use the Themify Ultra theme on my website, and I highly recommend it. 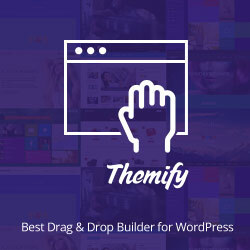 Themify creates beautiful and responsive themes with drag and drop builders, making them very easy to work with. It’s really affordable at $49 (they are also buy one get one free at the moment!). You can use it on an unlimited number of websites. There are so many tutorials online to show you how to set it up. Speaking of tutorials! I followed a Skillshare course to build my website. The course I followed was broken down into about 20 short videos, so I was able to do each step one at a time and start and stop the video tutorials to give me time to implement the steps. I also used YouTube to help me set up my website. 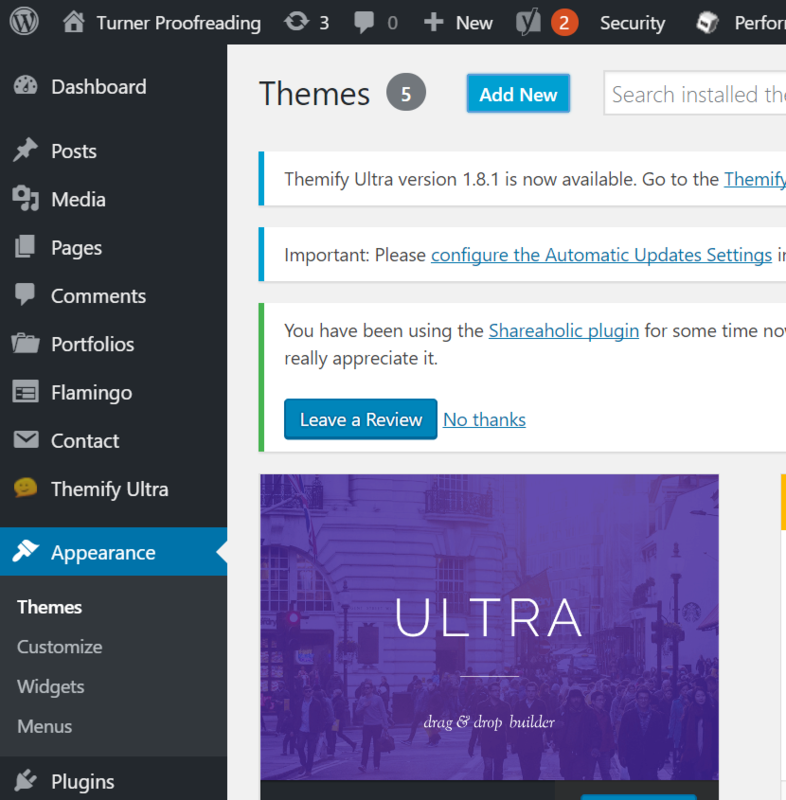 Hogan Chua has lots of videos on creating a website using the Themify Ultra theme. He’s so helpful as well. If you get stuck, you can leave a comment on the video, and he will get back to you as soon as he can and let you know how to fix the problem. 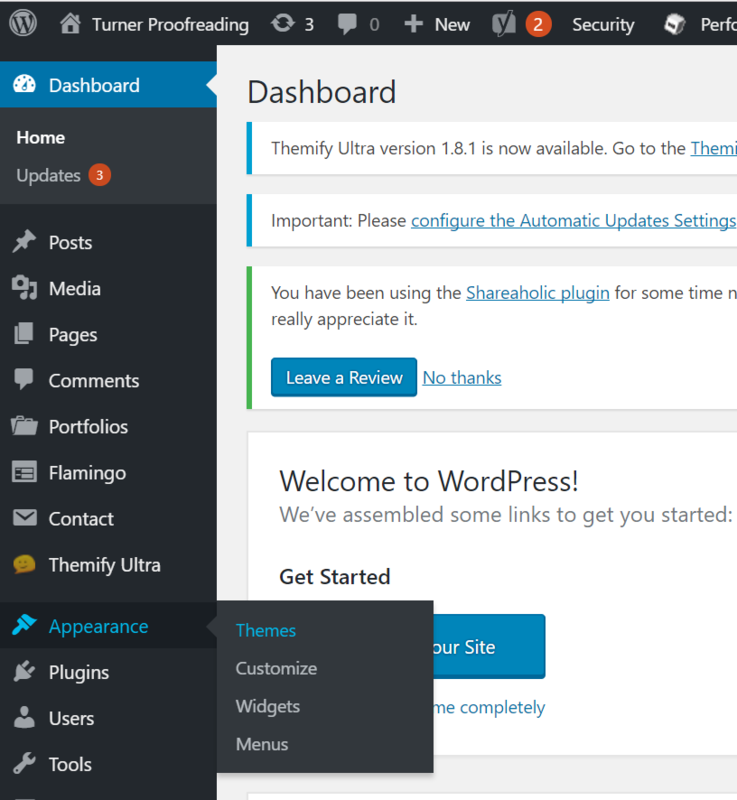 Once you’ve purchased the Themify Ultra theme, you can install it using the WordPress theme uploader. Download the theme.zip from the Member Area on Themify. Note: some browsers (e.g., Safari) automatically extract zip files. Right click on the download link and select “Save Linked File As,” which will allow you to download it as a zip file. Log in to WP Admin. Click on the “Add New” button, then click on the “Upload Theme” button. Yoast SEO. An absolute essential. Yoast will allow you to optimize your website copy and blog posts so that they’re more likely to rank well on Google and other search engines. It also checks that your posts are readable and suggests ways that you can tweak your content to make it more readable. Shareaholic. Inserts social media sharing links into every blog post so that your readers can share or save a post that they enjoyed. Pretty Links. 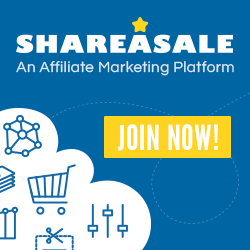 Very useful for shortening links to other websites or affiliate products. People can be wary of clicking long URLs that are full of a random selection of letters. You can use Pretty Links to create a custom link with more intuitive information that makes people feel comfortable clicking on the link. Google Analytics for WordPress by Monster Insights. This plugin allows you to connect your WordPress website with Google Analytics, so you can see how visitors find and use your website and keep them coming back. 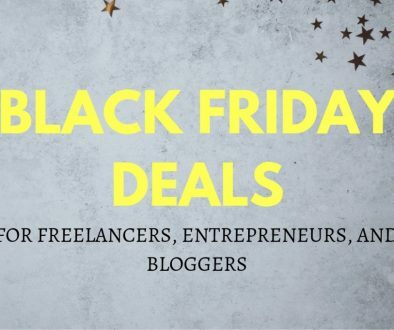 If you’re not very techy and you’re on a tight budget, then head over to Fiverr. You can get a professional looking logo for an affordable price on this platform. To be honest, I haven’t gotten around to creating my logo yet. I fully intend to do this very soon! However, I have used Fiverr before and found it very good. PRO TIP: Make sure to read reviews from previous clients before you choose a designer and check out their portfolio to see if their style matches yours. You don’t want to end up with a pretty watercolor logo if your style is more clean lines. If you’re a creative person, you might want to try to create a logo yourself. You can do this in Canva or PicMonkey. You need to get people to your website so that you can convince them that they need your product or service. But if you don’t promote your website, it’s unlikely that anyone will ever find it. Social Media will be the biggest driver of traffic to your website, provided you actively engage with people on these platforms. Don’t just post and run. Ask questions or comment on other people’s posts. The social media platforms I actively use to promote my business are Pinterest and Twitter. Pinterest is the most fun platform (for me anyway), but there is a learning curve, and you need a strategy in order to get a return on your time and money (if you use apps to automate pinning) spent on using it. I also love Twitter. Read why I use Twitter in this post. You can follow me on Pinterest here and Twitter here! PRO TIP: Register accounts on social media platforms with your business name even if you’re not going to use them. You don’t want to come back in six months’ time when you’re ready to start using the platform and find that someone else has taken the name. If you’re not ready to actively use the platform you can use apps to schedule your posts or else put a note in your bio to let people know what platform they can find you on. Congratulations! 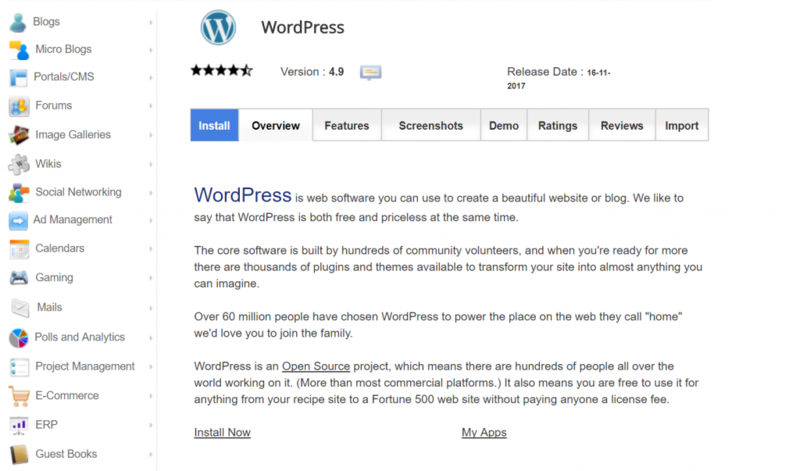 You’re now the proud owner of a WordPress website for your business! Feel free to leave questions or comments down below. If I don’t know the answer, I’ll do my best to find out. Don’t have time to read this now? Download as a PDF ebook and read it later! 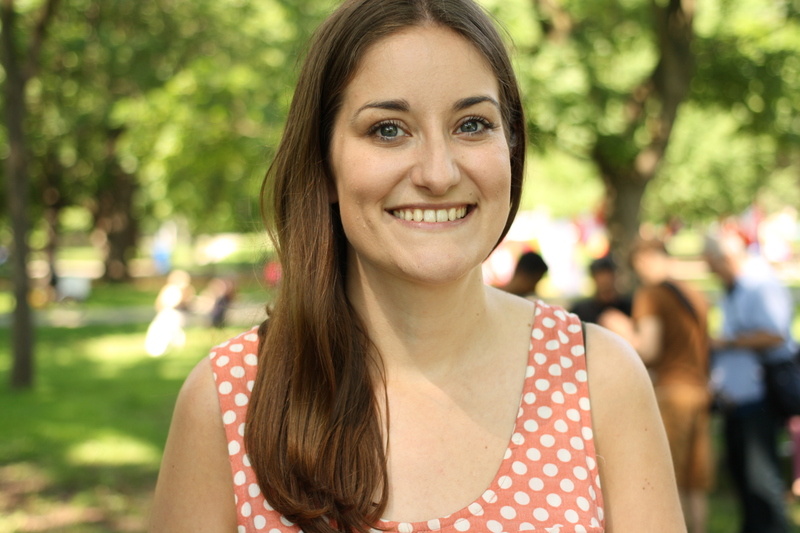 What a great and informative blog post Catherine! 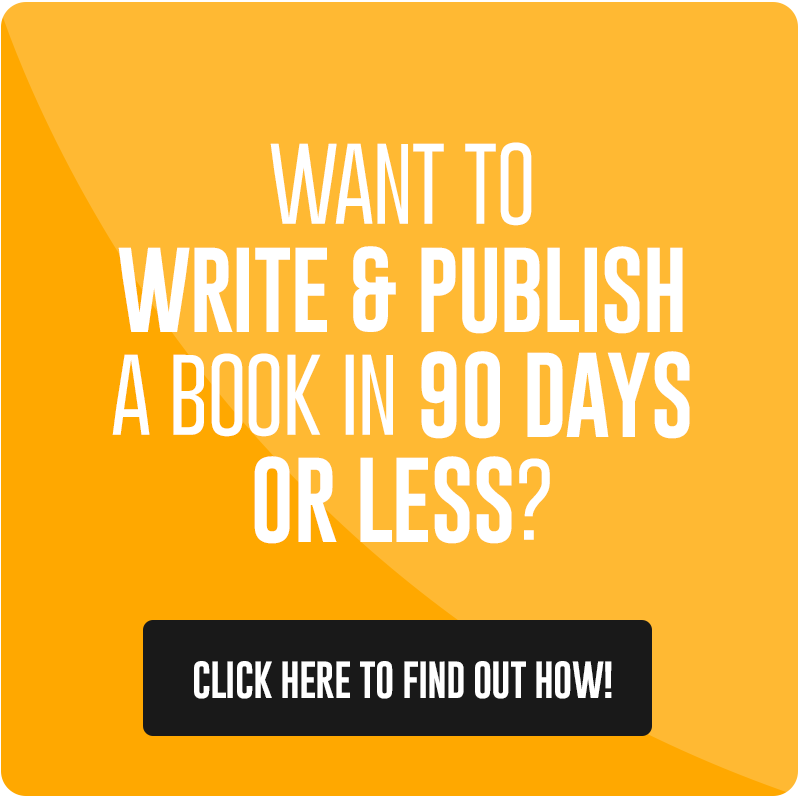 So much practical advice and tips for another beginning proofreader such as myself. Keep up the great work of providing excellent content on your website. I’ve been all over it and think it’s one of the best I’ve seen so far!! Thanks so much for your lovely comment, Christine! 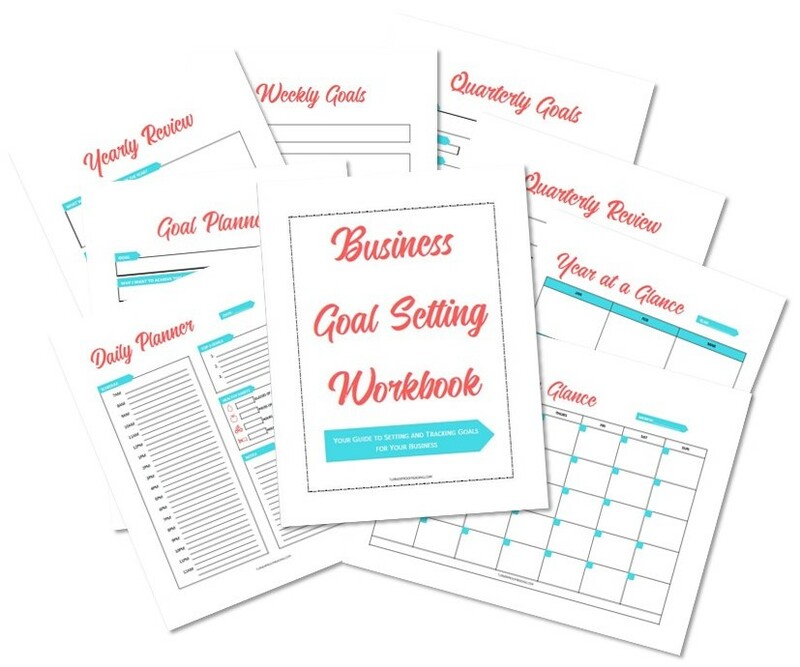 There’s so much to learn when you set up a business. I want to share any knowledge I pick up along the way.